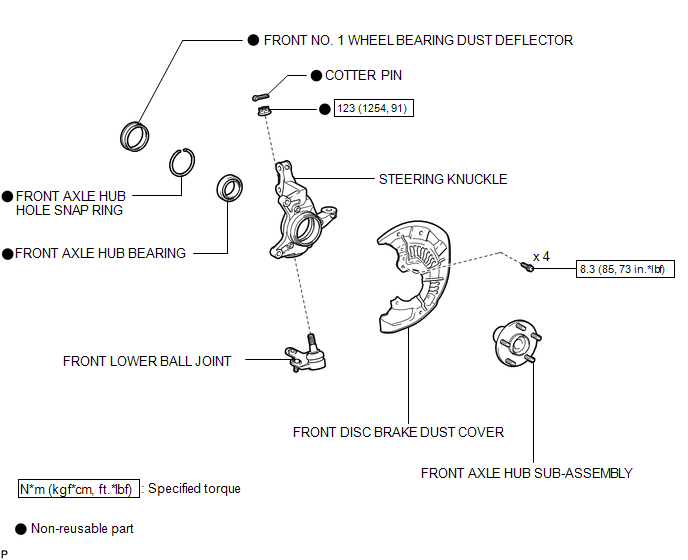 Refer to procedures up to "Remove Front Axle Assembly" (See page ). (a) Place the bearing inner race (outside) on the front axle hub bearing. 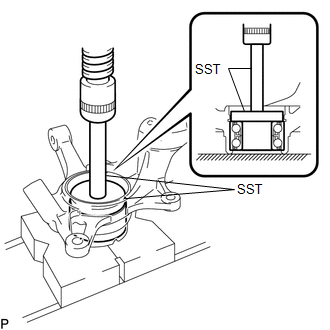 (b) Using SST, V-blocks and a press, remove the front axle hub bearing from the steering knuckle. If the steering knuckle cannot be kept level using SST, stabilize the steering knuckle using a washer or an equivalent tool. Keep the steering knuckle level. 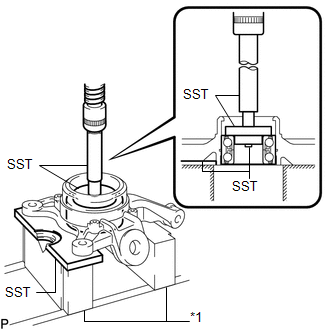 (a) Using SST and a press, install a new front axle hub bearing to the steering knuckle. Refer to the procedures from "Install Front Axle Assembly" (See page ).